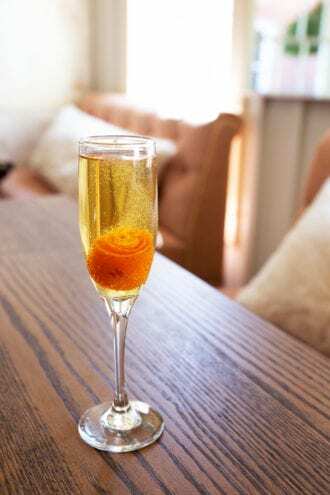 Inspired by The Benediction cocktail created at The Standard Hotel in New York, Parcel 32 ups the Bénédictine and omits the orange bitters in favor of an orange peel. Stir the Bénédictine with ice in a mixing tin, then strain into a chilled flute. Top with chilled Champagne and garnish.